“Screw off!!11! I’m enjoying ‘Locals’ Summer’. Now that all the suckerz have left, I gotz the whole shebang to myself! September is the best month on the Island!” Earl explains what she is still doing at Holgate now that it is autumn, and repeats Island platitudes like a good local bird. It wasn’t necessarily that I was surprised to see a Piping Plover at Holgate this late in the season… I was just surprised to see this one. For while it’s true that most Piping Plover are well into their migrations by now (if not already well settled in for winter in the Bahamas) there are still plenty of stragglers lallygagging their way down the coast… even as far north as New Jersey. Especially the newborn youngsters who are generally having a blast exploring the world with almost zero idea about what an epically difficult and unavoidable journey is immediately in front of them. “All those shoobies don’t know what they’re missing! Deez tracks make freaking awesome hidey-holes!111! !” Can you spot Earl in the precarious kind of position she finds herself in daily now that her Refuge is open to us and she has to “share-the-shore”? What is specifically curious about this particular bird is that she appears to be an older, breeding age female. And that’s unusual because the momma PIPL are usually the first leave the ball. 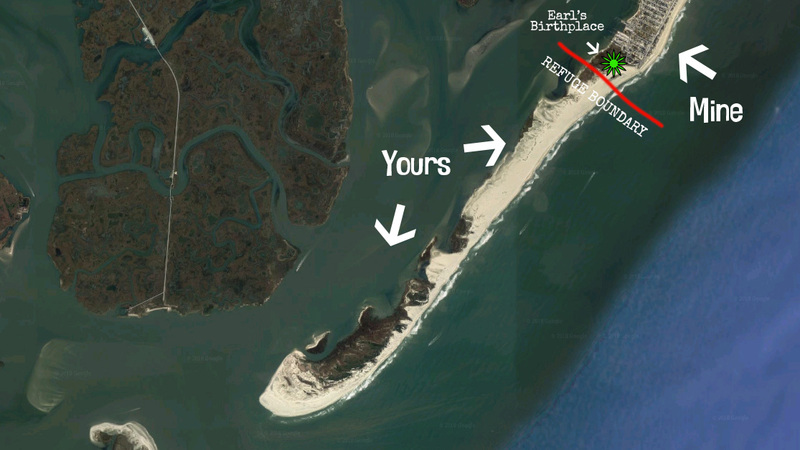 In fact, many of LBI’s breeding females left the Island for the winter all the way back in July. Can you even remember July at this point? Usually the PIPL moms take off as early as mid-summer, before their chicks have even fledged, leaving the males on 100% daddy dooty to finish out the season and see the babies through to maturity. So while it is strange to see a breeding adult this late, it is super-extra strange to see a breeding female adult. Fortunately she’s banded. So despite her advanced avoidance maneuvers and extreme attitude, I made an extra effort to get a read of her bands. “Piss off BENNY!11!” Sho’nuff. BW/OG (Blue,White/Orange,Green.) We know this bird. She’s definitely a breeder, and she’s definitely a local. That’s Earl. She is definitely a breeding female. We know this because she made a gorgeous pile of fluffy babies at Holgate this summer. And she is also definitely a local; she was born herself on the Island in 2017. But most notably, she is kind of a legend, and kind of a celebrity. 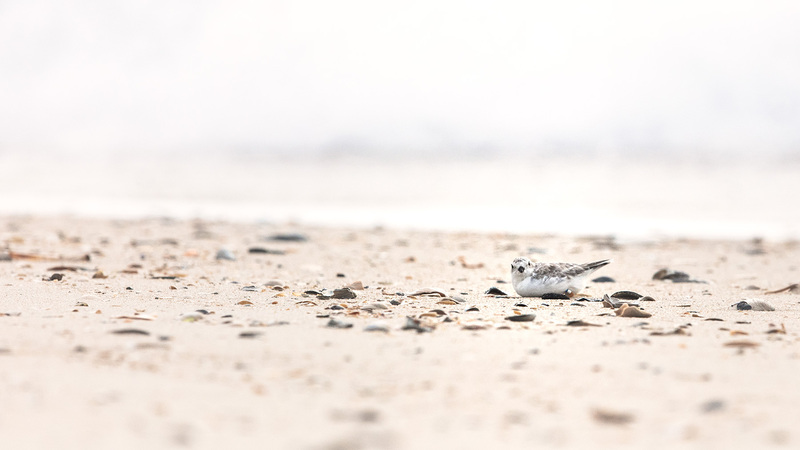 She is one of the first Piping Plovers to be born in Long Beach Township in Lord knows how many years. 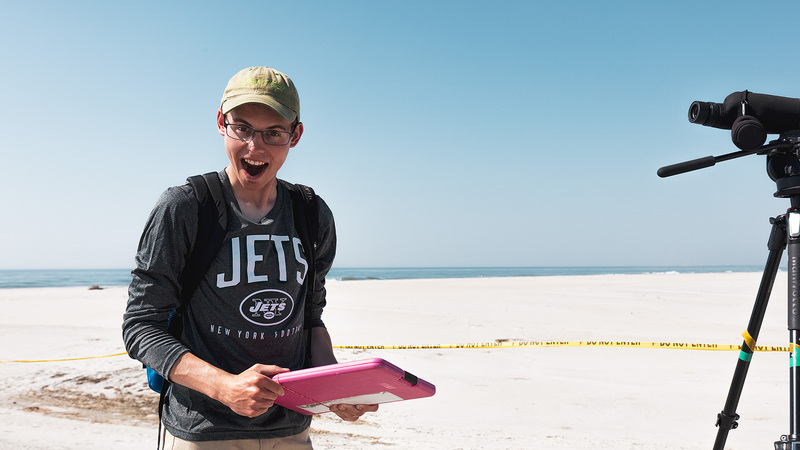 The world-famous Rebeca Linhart (RELI) gives her “WTF PIPL” face when she discovers the unfortunately chosen LBT nest site of Ruffles and Sunny Obama back in 2017. I remember distinctly being quite pleased with myself back in 2017 when I first called Sunny Obama & Ruffles the “%$#hole Plovers.” I thought it was hysterical. I thought I was pretty clever. 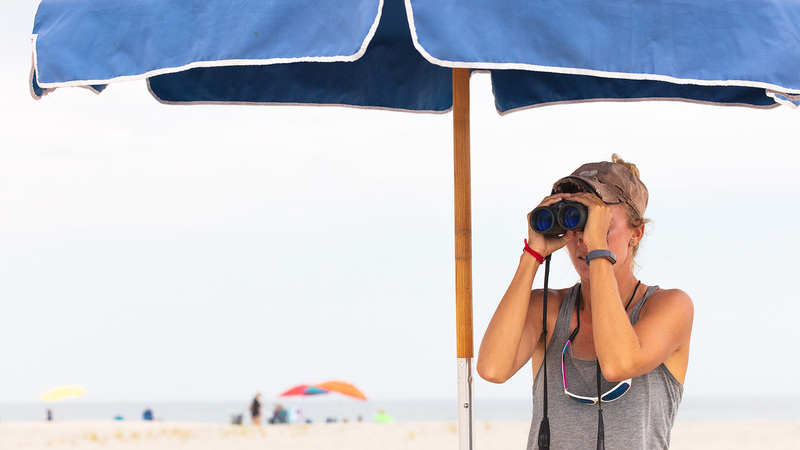 For you see, when you monitor Piping Plovers, you often have to contend with the very frustrating phenomenon of people needlessly trespassing, for no real reason at all, in small protected areas on massive, recreational beaches. 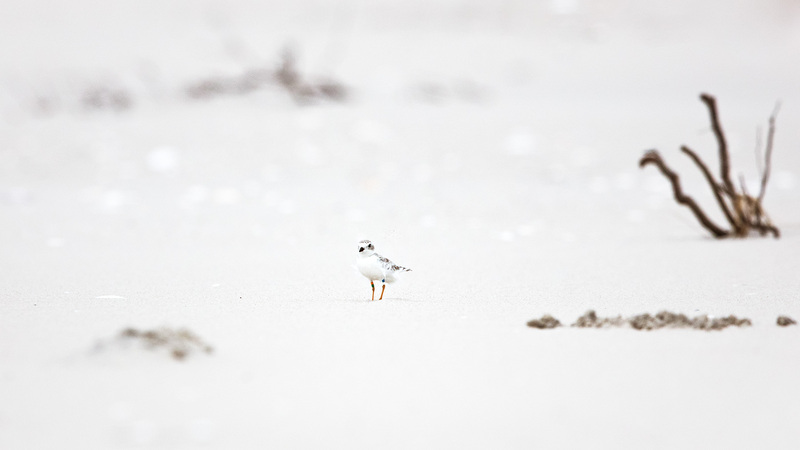 The tiny amount of areas protected for local animals like the Piping Plover represent just an itty-bitty fraction of the total Island real estate which we already completely dominate. Yet somehow enough-is-never-enough for us humans, so still, people feel compelled to trespass in those tiny, delicate spots. It is naked selfishness in the extreme, and is frustrating beyond belief when you have to deal with it and intervene on behalf of the animals. “We’ve got essentially the whole Island… can’t you just respect this small area? Is nothing sacred?? ?” is what you want to scream. Well, Sunny Obama and Ruffles flipped that script in 2017 when they chose to drop their eggs just feet outside the border of the massive Holgate Refuge made just for them, where they would have been 100% protected, and directly on to the Long Beach Township property at the entrance to Holgate; which happens to be one of the busiest, most dangerous, day-tripping beaches on the Island. WTF PIPL? You’ve got that whole Refuge to yourselves. What were you thinking? It turned out nobody really thought my analogy equating Sunny Obama & Ruffles with selfish human trespassers on Plover habitat was as funny as I did. But that’s probably because the whole situation was no laughing matter and that nest, however special and historic (and funny), caused a whole bunch of chaos, sending the State, the Township, the Refuge, and local property owners scrambling to come up with a plan to keep it safe. 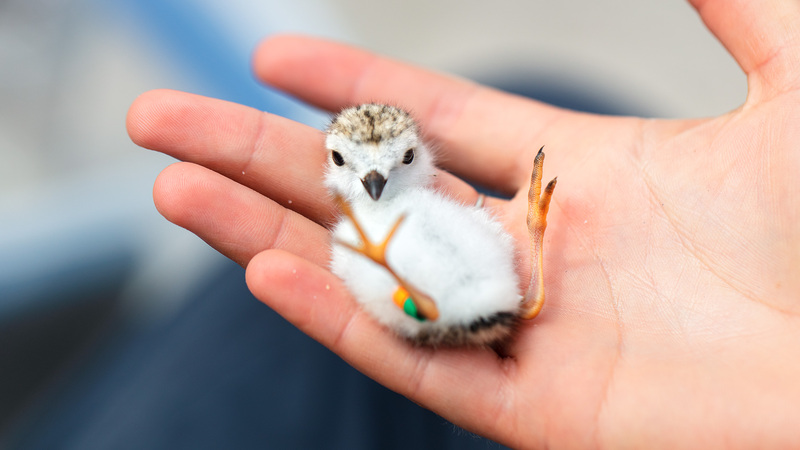 Preparing to host a Federally and State protected endangered breeder like the Piping Plover is kind of like preparing for the Pope’s visit. Only more adorable. Dennis gives his “I just found my first nest!” face, combined with a “WTF PIPL??? 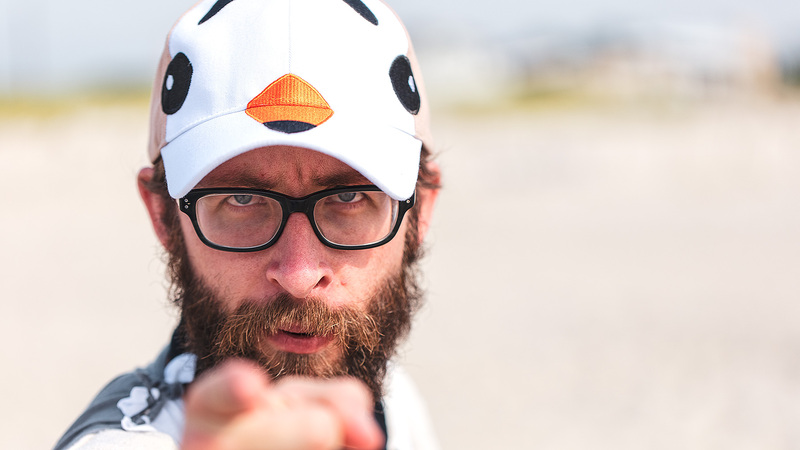 ?” face immediately after finding the notorious LBT nest in 2017. 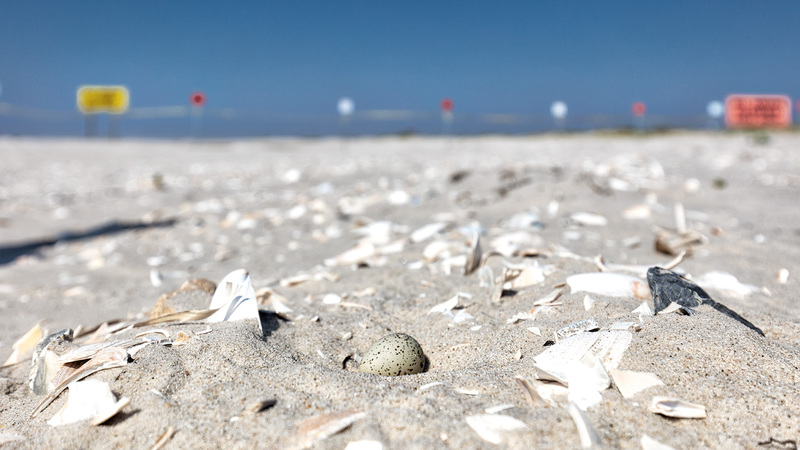 Needless to say, everyone came together quickly, acted smartly and decisively, and the %$#hole Plovers’ four, beautiful, historic eggs survived to their hatch date. After the hatch there were three healthy babies and one egg which appeared to be a dud. Sun’s Out, Guns Out. Michelle Stantial shows up to band the legendary LBT babies, and gets treated to the good life of luxury on our part of the Island. She gets to do her difficult and stressful work under the cool comfort of a beach umbrella! We know how to host friends on the beach in LBT. AMIRIGHT? “I am Legend.” RELI carefully bands Sunny Obama and Ruffles’ three tiny, adorable babies: Slim Jim, Duke, and Toe Jam (shown here). The historic LBT nest was a success. 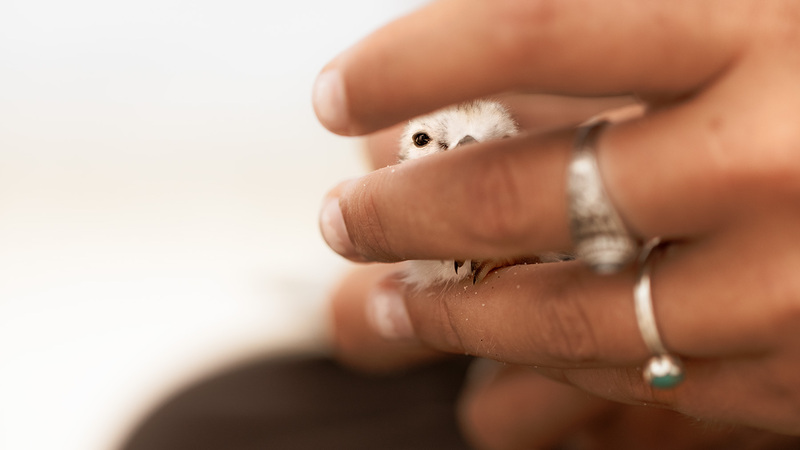 Slim Jim, Duke, and Toe Jam quickly moved deeper into the refuge with their father Sunny Obama after hatching, where they would be safer, with better access to werms. But Ruffles, who, incidentally, is Dracula’s mom, continued to incubate the unhatched egg. Usually when an egg is that late it’s a dud and the family just eventually gives up and moves on. But not this time. 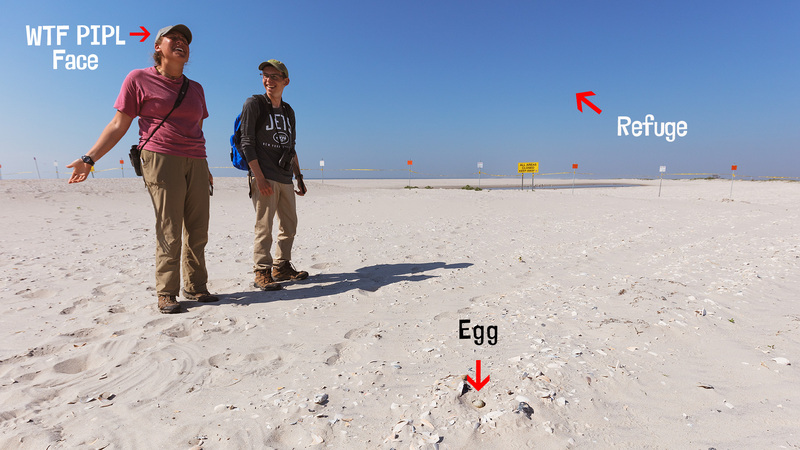 This very special egg would eventually hatch, and right before the very last day of the banding season, when everyone was celebrating by wearing ridiculous Piping Plover themed hats. And so, for the very last mission of the 2017 season the crew headed deep into the Holgate refuge to meet this very special, and very late, little baby. Earl, now banded for future tracking, in the Plover Pile with her siblings Slim Jim, Duke, and Toe Jam. The Last Mission. That’s Earl on the left. You can see her little green band. So that’s the story of Earl, renamed Early by me because it makes for a punnier post title for this piece and also because we learned that he-was-a-she when she returned to Holgate this spring. Despite her young age, she soon landed a handsome, unbanded rogue and produced three beautiful babies: Snoopy, Pluto, and Scooby. Only Pluto is officially known to have fledged, but still… that’s a huge accomplishment. 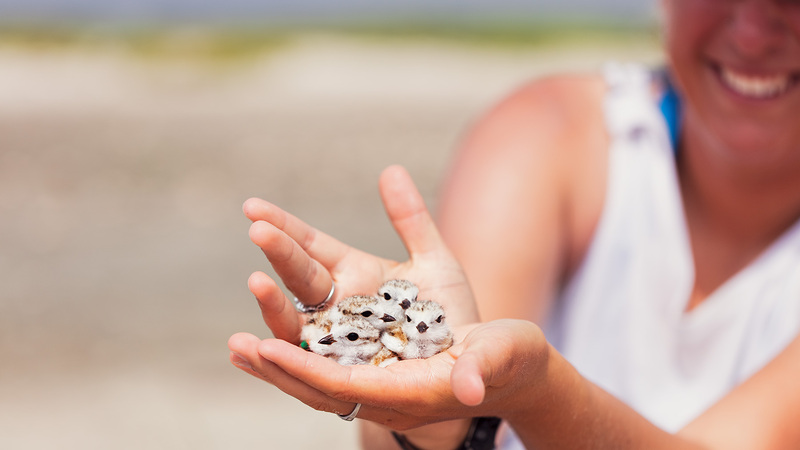 Most of the baby Plovers born to LBI never make it back to breed at all. So what is she still doing here? Who knows. It certainly is odd and I hope she is O.K. But now that you know her back story, you know that Early has been late before. So maybe it’s not so unusual. She certainly is one-of-kind in that she is an LBT local. And like any good LBT local, she probably has figured out that autumn on the Island is not to be missed. Perhaps she’s just livin’ the dream. Just. Like. Us. And thanks to everyone who made the extra effort to protect the LBT Plovers, despite what an %$#hole maneuver it was hopping the Refuge fence and nesting on our already tiny beach when they had that whole big Refuge all to themselves. Early’s return and successful breeding surely prove… it was all worth it. Godspeed Early. Now, go on. 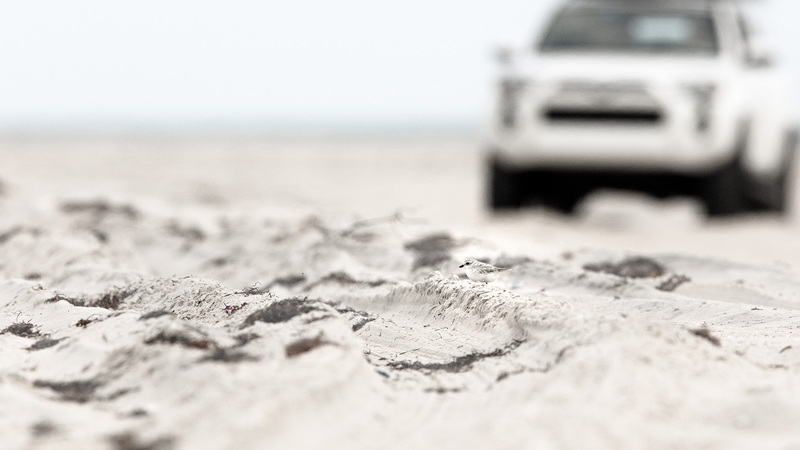 Get moving. We’ll see you next summer. And until then…. don’t be an %$#hole! Because you’re not an %$#hole. You’re a good bird. And an LBT local. Represent! Posted in Wildlife and tagged dracula, earl, LBI, lbi piping plover, Long Beach Island, michelle stantial, piping plover, rebecca linhart, RELI. Bookmark the permalink. Love this story and pictures. Thank you! Yay Earl! The other day on the migration survey Monarch and an in identified but likely NJ breeder were also seen at Holg and a fine gentleman named Petunia persists at Stone Harbor. Now that we have the luxury of banded birds, we know that every year a handful hang out late. In some cases, it has helped us better protect their habitat bc we now know fall plovers aren’t always just migrants passing through. Science! Thank you Michelle!! Love it! P.S. I totally want one of those hats! I so want Early to turn up on Abaco. Holgate is our main supplier of quality PIPL. Currently we have Squid & Felicia Fancybottom. So why not Earl?